TRB model question papers for commerce? Best job after B.Sc degree? How should i prepare for it? Suggestion about future after ECE final year with 80%? Government job opportunities in Pharmaceutical Sector? Notification of Govt jobs of all over india, can be send to every person having account in GJA, govt jobs job notification should be send in such a way that candidate should recieve emails relevant to their qualification and eligibility. so while creating account in GJA, there must be option of his or her qualification and interest while filling the form. 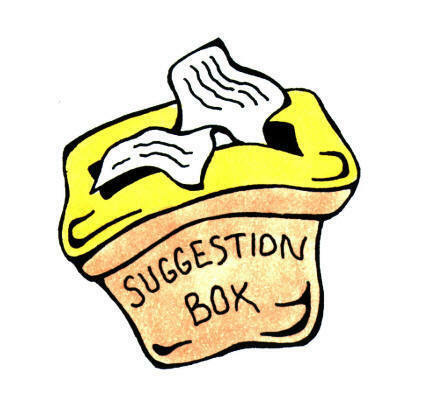 Nice to see a suggestion box/feedback sticky thread in this forum, thanks for giving us an opportunity to enhance this forum also i have lot of suggestion about this forum. 1) Try to make another category called government papers i.e we are having different entries under government sector for which lot of exams are being conducted through out the year. Hire a paper expert or make question papers category where only threads of question papers are being approved by this no similar question will be approved by our moderators. 2) To enhance our forum try to give gifts to our winners or winner of month according to which you prefer. This is Saurav from Bhubaneswar.Well I think the name doesn't suit the website.The name "GovernmentJobsAlerts" with just first glance anyone can convey that it would be a job portal like fresherworld.com.But this forum is not about any govt job alerts.This website is not publishing and govt job details.We are all discussing on various topics related to govt jobs.All these discussions are for helping jobs aspirants to gain more knowledge. Then why is the name so called Govtjobsalerts. So I guess you should rethink on this matter.I hope you would definitely come up with a new name for this website.Anyways have a nice day. My name is Deepshikha. I secured 167 marks in IBPS clerical under SC categary from U.P. What are the chances to get interview call from different banks? Respected Support, There is a certain problem regarding the job alert through sms. Please try to make this path easier so that the job seeker's can easily get information of the 'just out' advertisment. 1. To make a separate category regarding different exam papers. Being a recently joined member of this site I would like to add that I did not find this site very user friendly, its a little confusing in the sense that all the threads are present at one place and their arrangement in a particular ascending/descending order is unclear. Besides this, I feel there are diverse domains of employment under govt jobs. So it will be easier to manage by the admin and easier to reach out and comprehend for the users if they these domains can be segregated on the basis of some criteria which is best suited to the admin. Anyhow, this website is a different and worthy try for people to gain knowledge and help others. i think you can mail the details of the jobs to the job seekers..You can also divide the peaple in to different groups.ie,b tech/b e,post graduates,degree,medical,management field etc.Then it is benificial to you and us..I think ranks can be extend up to 25 or 30. Sir, in starting page give all detail about GJA and frist page is attractive.frist page show all details about feild related jobs. able to track whether any speedpost has come to my room or not. Sir,I have one Suggestion Putting 'Like'(As in Facebook) under the answers posted will be motivating to give high quality answers. I means If the answer really helps the person who asks question or others they can like the Post So The writer of the Post will be motivated. i would like to say that this forum/platform is an excellent idea as it is one of the places where two problems find a solution..
and two.. for people who answer the questions also learn by reading and understanding the situation and inturn it helps to generate income..
so it is like a double advantage..
i would just add on to one point that the ranking and the system of awarding points can be made more transparent and also the communication with the user (i.e the account holder ) could be bettered ..
anyways.. on the whole this is a totally good and a novel concept! this programm is good for learners to earn . the basic change you can do is by making separate links of every questions like books related questions in book link . There are several users who just writes irrelevant answers for the sake of points. Moderator should look into this matter. sir as you are giving certificates plus rewards for first rank 2500, second rank 2100, 1700, 1300, 1000, and so on..
it will be better if you will give 2500 for the first rank holder, second rank holder 2300, third 2200, fourth 2100, 1900, 1700, 1500, 1400,1300,1100,1000, 850, 750 , 650, 550,450,350,250,200,150..certificates till the tenth rank not only till 5th rank..
i m very glad to be a part of earn and learn programme..
Well I must.. Good Job! Only Issue I have with this Forum is that the Link which gets Displayed below the Member's Designation! Please Look into this Matter! i agree with Saurav. The name should not be govtjobalerts as this site helps the people in solving job related questions. I think that the EALP session is too long. It may reduced to 7 days from 15 days. There are no new question thread. I just replied all the thread and now i have not a new one. can easily understand your website and can efficiently give reply to the questions. option of UPLOAD, where we can upload a file and help those users. 3. The photo of winners should be shown in the winner list. URL can't be change now but the thing you are talking about is "alerts". One when our forum gets an image or when we will recognized nationally then we will start implementing alerts. As of now no such things which are being implemented. We have upload option in every posts, Just click on advance and down the scroll you will be having a manage attachments box where you can manage your attachments. For photos, Members should stood first to upload their pics before we implement this. This site is not a money making machine but we are offering scholarships only because you are helping others. We can't reduce it to 7 days its patent and we will stick to 15 days only. There almost 18k threads and out of which Still many answers are Unanswered Click here to find them. (1)checking should be done every day. (2)answers of all members should be checked, not only upto 30 members .i strongly feel that the administrator or forum moderator only checks the answers of top 30 and it is difficult for others to do well in this forum. (3)the members who are copying the answers for just winning the scholarship should be heavily punished even the senior member+++or even higher. rest all is good and this forum will gain more popularity with time. 1) Checking is done on daily basis only. 2) And Checking of answers are done for all the members if a member has posted few posts and his rank is 65, still he will be evaluated and will be given points accordingly. 3) Yes we do follow the same punishment policy if a member of any rank title will be penalized if he copies anything. As everyone is here for jobs. But we wont b able to know the member's Location in that. Can you make dis place a little more attractive.Just please don't answer dis question if there is a sarcastic answer No hard feelings. And can u regularly give a recognition email to the members for a great answer(quality,indepth nature of the answer).so that it would motivate members to post more good answers. Now the payment mode should be online in place of cheque. This will be very helpful for all. Divide The Forum Questions By Category n BAsis Of Eductaional Qualifications Thast A Better Option. --> Special reward to those who are maintaining their spot in the top 5 for five consecutive times. Please don't take it other way.I can understand that you are not giving less.But this addon feature in the EALP would certainly help you in making this a traffic oriented and most helpful forum.I hope you would like my suggestions.Anyways have a nice day. by 400 for each lower rank. if this gap is minimized then it will be good for the members till 10th rank to get some good amount. As I believe members till 10th rank in this forum do give good valuable suggestion and keep this forum active. I also want to ask on what basis member is declared as senior member and is there any extra benefit for being senior member. Forum is Good for Government jobs Related Question queries. As forum this is great to gain government jobs knowledge. Hope this will be continued for more years.